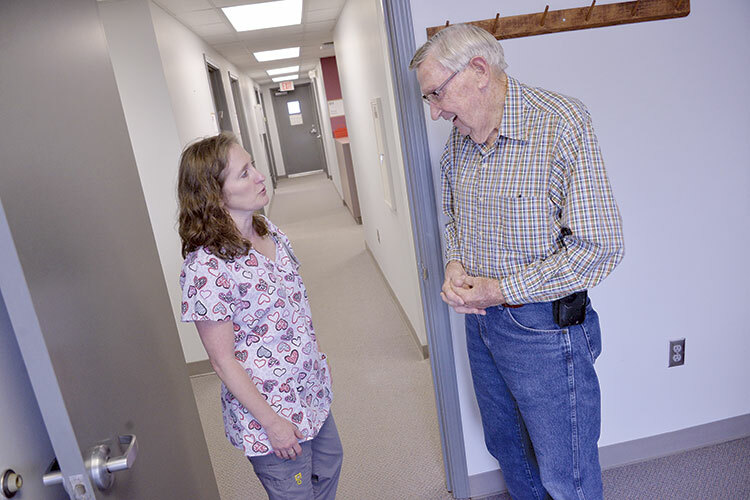 Registered nurse Lisa Koontz speaks with veteran LO Boyett inside the new Veterans Administration clinic in Hamilton on Wednesday, Sept. 6. HAMILTON - Marion County is now home to a permanent Veterans Administration (VA) store-front clinic and is currently seeing clients. The clinic opened on Aug. 15 and is located in front of the North Mississippi Medical Center in Hamilton. Before the clinic opened, local veterans had to either drive to Tuscaloosa or use a mobile unit that travels to various towns in West Alabama. The mobile unit stills travels from Tuscaloosa to Fayette and Livingston.